Debagarh also called as Deogarh is a district in the Indian state of Odisha. Debagarh RTO conducts many activities to ensure smooth transport and traffic. Debagarh gets all instructions for operations from the motor vehicle act of 1988. The transport commissioner directs all the activities that can ultimately lead to smooth transport and traffic. Debagarh RTO is actively involved in vehicle excise management for all modes of transport. These tax are collected on a regular basis. Criteria for the tax are different for different kinds of vehicles. For two-wheelers, it is usually based on either the engine capacity or the weight of the motor. In the case of four-wheelers, it is often based on the cost of the vehicles. The slab of tax keeps on changing. Before collection of the required tax, Debagarh RTO refers the latest criteria, levies the tax accordingly. Any vehicle that is transferred from another state to Debagarh needs special permission for hassle-free driving. It might be possible to drive the vehicle hassle free for a period of 3 months. After that vehicle owners must get NOC from the RTC. Debagarh facilitates in issuing the NOC after vigilance of documents submitted by the vehicle owners. You may need to visit Debagarh RTO to collect the same. It may charge a nominal fee for the same. 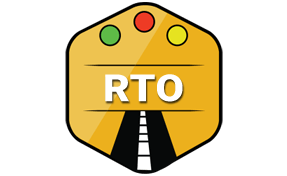 Debagarg RTO is responsible for sanctioning many special permissions.These permits are required to ensure road safety and maintaining traffic rules and regulations. Permission is related to road permits and its renewal. Another special permit that is required is related to the permission for tourist or imported vehicles permission. Debagarg RTO also assists in granting permission to commercial fleets and cargo. Without these permissions, the specific vehicle is not allowed to be driven on the roads. All new vehicles purchased from Debagarh must get their RC from RTO there. RC is one of the compulsory document for all the vehicles. To get the RC, vehicle owner needs to submit few documents as required along with a nominal fee. Debagarh RTO issue RC without any hassle if submitted documents are up to the mark. Debagarh RTO also assists in making any amendments in the RC as and when required. These changes may be required at the time of change of address or in the case of ownership changes. Tests that Debagarh RTO conducts is related to vehicle fitness or for issuing the driving license. These tests are essential and are designed to sanction the certificate or license based on the eligibility of vehicle or person. For checking vehicle roadworthiness, vehicle emission test is conducted. To grant a driving license, both theoretical and practical tests are conducted. These tests are just basic, if someone has generic ideas of traffic rules and regulations can clear them with ease. Regional Transport Officer (RTO), Debagarh, Odisha - 768108.